Welcome! 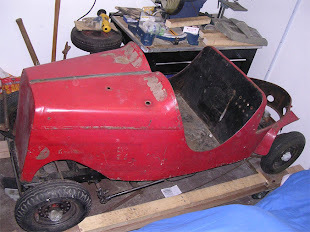 Please enjoy a few of my Microcar (miniature car) build projects. I hope this site will bring out the kid in all of us. Please share your projects. Have fun. After 2 summers and working a few hours a week weather permitting I finally finished my 2nd Ihle Car Restoration painted like the one that used to be housed at the Bruce Weiner Microcar Museum in GA. Car is almost complete when I found it. Only missing a few trim pcs. and a few of the originals were broken. It does have its rear spinners (not shown) but a wing on each are broken off. New old stock Briggs & Stratton 8hp Flat Top engine, with electric start as an add on. Headlights, tail light access and volt meter. 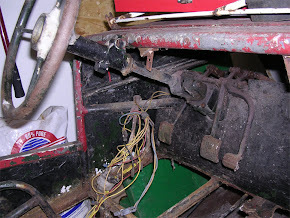 The new owner liked the idea of a dash to operate the car in modern fashion. Single pedal design functions like original. Accelerates and also brakes the car. See video on Flickr. It is making its journey to a new home in FL. 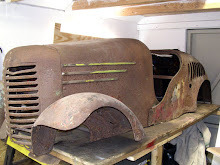 I will post a few pictures here but if you would like to see more pictures before and after restoration, please go to my photo link on Flickr. 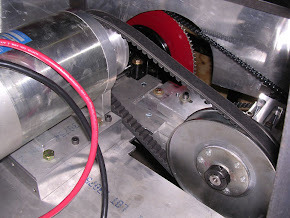 As I start to slow down on some of the projects I will update the blog and add other interesting projects and finds. 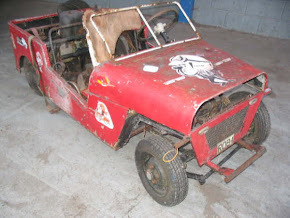 Have any interesting minicar projects? Please share. Have fun and God bless! Welcome to Micronut microcars / minicars! 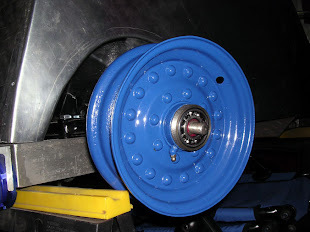 Here you will read about my miniature car projects. 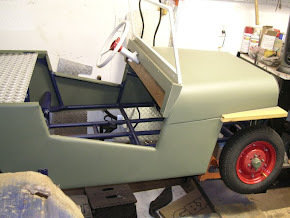 This blog will focus mainly on my first miniature electric powered Roadster. 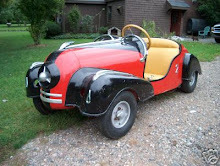 The Microcar I am building was inspired by an Amusement Park Car called the Supercar. Supercar Company of England built many types of models but this Supercar of the 1930's is one of its earliest gas powered type car that children as well as adults can drive. Racing on a wooden oval track called the the Brooklands Speedway track (sometimes called a Rally Track), the driver had total control over the car such as steering, acceleration and stopping just like a real car. These cars were designed to race each other although at a moderately safe speed. Much more thrilling than a simple bumper car. 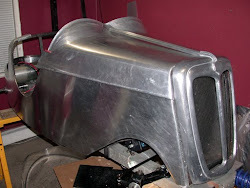 My re-creation will include some modern touches while keeping the overall look of the 30's car. I can possibly modify the body to suit my ideas such as adding fenders and a tail fin like that of the Scootacar. I never know exactly what I will do. Possibly make removable parts so the car can be a 2 in 1 model? 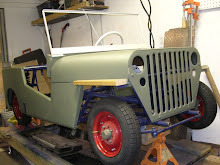 Do you have a similar project? Please share. I hope this site can bring out the kid in all of us! My name is Angel Otero and I am an artist and collector of vintage toy cars and locomotives. I enjoy drawing, painting, designing and building models. 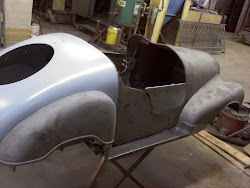 I also enjoy restoration work including welding and fabricating new parts. I work as a hand engraver doing custom designs and lettering, primarily on jewelry and silverware. I combined my interest in art and metal to build minicars that actually run. Please share your thoughts and ideas. Need Mig/Welding? please contact me for your small batch needs or repairs on parts, etc,. Are you into art and have ideas you want to create in metal? Me Too! 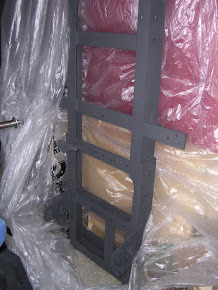 I can weld it for you or aid in the layout process. Lets talk. As an artist I can relate with the high's and low's of the creative process as it is very challenging and frustrating at times. When that happens to me, which is very often( we are our worst critc) I try to get inspired by other artist and feed off of their energy. An idea comes from an inspiration triggered from experiences, people, places, other artist's and their work. That's how art is developed. You take it all in and then make it your own. In the art world , there are no rules! Tires were removed from the SuperCar and put on the Ihle Car. 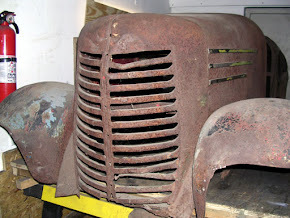 After restoration, new hand made grille, still needs engine and drive train. All new body panels, diamond plate flooring, dashboard, Vespa rims and tires. For Sale, Please Inquire. 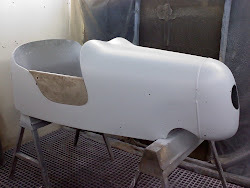 Sandblasted and primed frame, selling car in parts including Cushman Husky engine. Please Inquire. After fitting hand made doors, rear half ready for paint. 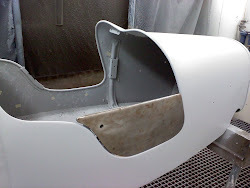 Doors and fenders painted seperately, body ready for base color.